My first thought when I arrived in Lyon – what a big French city. When I say French, I mean not only a city, located in central France, but also a city which has the typical for the country urban and social environment. I have been living in Lyon for two years now. My first impression proved to be true, but the fact that it’s the second largest city in France, doesn’t make it difficult to move from one point to another. You can easily make a tour of the city center on foot. Or of course, you can take the metro or a tram – the ticket is valid for one hour and costs 1.80 euros. My walk usually starts along the Rhone river, one of the two which cross the city. Here you can do your jogging or ride a bike along the river or as I most often do – take a walk and inevitably take some photos. On a warm sunny day, the alley is full of people. Some of them are having a picnic or just a beer, while the more active ones are riding skateboards, roller blades, bikes or a push scooter. So, by walking along the Rhone, I reach the most famous square in Lyon, according to Wikipedia – the fifth largest in France and the only one of those 5, entirely planned for pedestrians. Place Bellecour literally translated means beautiful courtyard, but actually it is a huge square with a statue of Louis XIV (also known as Louis the Great or the Sun King) on a horseback. On the square, they often organize various events such as competitions and concerts. In winter a large Ferris wheel is assembled and various installations for the Festival of Lights (Fête Des Lumières). It is celebrated around the 8th December which also coincides with the Feast of the city. The festival usually lasts four days, there are dozens of art installations across the city center. In the evening the whole city is lightened up, people put candles on their windows and on the facades of many of the landmark buildings are projected 3D performances. They say that despite the low temperatures more than two million people arrive for the festival every year. Thus, walking from the place Bellecour, on rue de la République – the main shopping street with a lot of familiar and some unfamiliar chain stores, we reach the place de la Comédie where are the Opera House and the City Hall. Both buildings are impressive. The building of the Opera House renovated by the French architect Jean Nouvel, who redesigned the interior as well. While we are there we see the back entrance of the City Hall, and as you can guess – the front entrance is prettier. 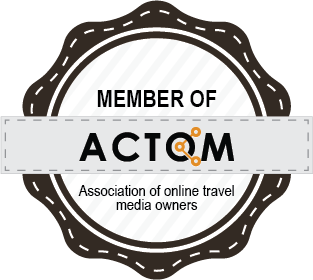 In order to see it, we reach another landmark square in Lyon – la Place des Terreaux. Here, except the main entrance of the City Hall (Hôtel de Ville), is located the Museum of Fine Arts (with a very calm and quiet courtyard). Our next stop is the art district Croix Rousse, constructed on one of the three hills in Lyon. It is colorful and filled with art and reveals a splendid view. The possibilities to climb the hill are many – countless paths, alleys and stairs that lead somewhere I usually get lost. That’s its charm, the neighborhood is filled with small shops, mazy streets and murals all over the buildings. Back in the old days, this place was a center of the silk industry. I want to add here that there is a Museum of the tissues in Lyon where you can find a big collection of fabrics and textiles. So, while we are still talking about hills, it’s time for me to give some information about La Fourvière. It is more touristic, perhaps because it is closer to the old town. On top of it is located the Basilica of Notre-Dame de Fourvière, which elevates above Lyon and contributes much to the city silhouette. The hill may be reached by stairs or by a funicular railway – there are two lines that climb the hill and the ticket for them is the same as the one for the regular public transport. I recommend you, if you have time – go to the hill two times, once in the day and once at night, when the city is lighted up (Lyon is called the city of light for a reason), hence you can enjoy all its glory. If you don’t have time to get there, the best place for a panoramic view from the city is on the coast of the other river – Saône. I think that the cities crossed by rivers have more charm than those which are not. Rhone and Saône gather in a place that is called Confluence. It is a new district with contemporary architecture where is also located a museum with the same name. Musée des Confluences is an impressive modern building, designed by Austrian architects and presents interesting temporary and permanent exhibitions. More modern buildings can be seen in the third district (3ème arrondissement, third from nine in total), which includes among business buildings, one of the largest shopping centers in Europe and several skyscrapers, placing the district as the second largest in number of business buildings right after La Défense in Paris. If you are used to the summer greenery of Sofia, you could think of Lyon as a not enough green city, because there are insufficient green spaces and gardens. Therefore, there is a huge park to compensate. Parc de la Tête d’or is located on the riverbank of Rhone and it is a must-see. Here you can find a large lake where you can take a boat or a pedal-boat. You can take a walk down the multiple paths or you can hire a rickshaw. When it’s warm, the park is full of people, children and some free walking ducks and geese. You can go into the zoo or you can take a look of the botanical garden, both of which are completely free. As a conclusion, Lyon is a very diverse city and as you can imagine it hides many more interesting places to look for, which makes me want to get lost in it in the very next walk I take. 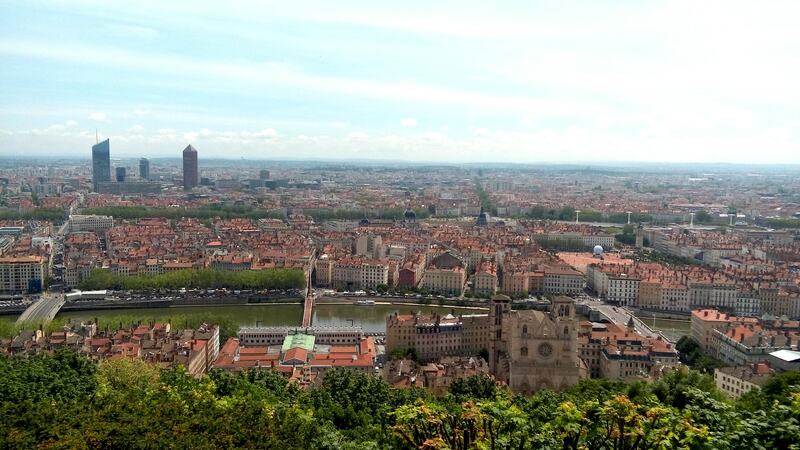 Follow Elena and her adventures in Lyon here.